What the book "If we want, we can" does not report are the differences between the various types of ownership. Here we give some hints and exemplify comparing the major differences. Say that there are two types of shareholders. The first is a real one for shareholders to choose to Roma, Lazio, Juventus also quoted on the stock market (not necessarily need to be held: the stock exchange facilitates the exchange of shares between shareholders and makes the value of the company transparent to the market ) and here are real shareholders own the company together with one or more shareholders of reference. A shareholder entitled to participate in the assembly, can express their ideas and if he has the financial strength necessary can also be invoked. Most shareholders can join forces and make you feel better. Although this may happen that a good idea can be accepted by the majority of shareholders on a proposal by a small shareholder. The value of its shares is always valid (except bankruptcy), and then held the shares may be resold, may increase or decrease in value depending on the market situations. Finally, the actions entitle it to receive dividends if the year end was broadly positive, or the shareholder shall submit a request to participate in further spending if the budget is clearly negative, or if the Board of Directors, with the consent of the Meeting, proposed new investments. For other payments are not mandatory but desirable: the possible lack of coverage of a capital increase is usually overcome by the shareholders of reference in that case increase their shareholding. The second type of shares are known as "popular shareholding" and has been successful in major companies such as FC Barcelona, Real Madrid Club de Fútbol (Spain), Sport Lisboa e Benefica (Portugal), FC Bayern Munich (Germany). These companies have the ownership of infrastructure (stadiums, sports facilities with various entertainment-related services), have evolved to build real "City of Sport as a social gathering, have formed a strong bond with the land , have supported development initiatives in local communities. The company sports clubs have become promoters of various sports activities with particular attention to youth. Also developed specific forms of representation and participation in the management of the company. In all these fans actually buy an annual card (90 to € 140) which allows them to take advantage of conventions, such as a discount on the bill (Barcelona), join for free to the vision of the youth teams of various sports, to have any discount on a stadium and more. In terms of participation in social activity can be extracted in order to participate in meetings: participants are less than 0.01% and understandable as such members of the Barcelona are over 160,000! Past year that ends in the value of the card is reset and then, if you will, is renewed. The purchase of annual card allows the usufruct of services alone and therefore you own the company. Compared with the first system of share ownership can be said that with the shareholders lose all popular investment after one year, you have not purchased the company, you are not entitled to dividends if positive, can not vary their share of participation according to their choice, each year we must renew the card if I am spending must remain a member (no shareholder), the fan has little or no influence over corporate decisions. The project we have chosen is that of real action, in order to be the owner of the company for a fee and that strategically it is also able to attract significant capital from investors also are not necessarily fans grenade. To report an interesting and questionable use of shareholders by the People’s Association www.squadramia.it. Starting with shares of 60 € renewable annually for each member association has purchased a real team of series D. The cost of the company was about 600,000 €, while the other € 1,200,000 is managed the team, buy players included. It appears that all members are presidents (30,000! ), All participate in important decisions, are also offered to Mr. on the team be put in place, talk through the forum, everyone can be a talent scout talented players looking to propose, they can see current account of the company with its movements around the Internet. The idea started from England 15 years ago where the association Myfootballclub acquired 51% of a football team. Last consideration: the two types of shareholders may however coexist. L’idea del rafforzamento della società Torino Fc attraverso l’azionariato non è nuova ma è stata esplicitata attraverso un libro “Se vogliamo, possiamo”. Il libro è stato scritto a partire dal 2006 e pubblicato nel 2008, quindi alcune situazioni devono essere lette ed interpretate ricordando la situazione di quel periodo. Inoltre, pur rimanendo le idee di base le stesse, il progetto ha avuto una sua evoluzione man mano che il gruppo di tifosi iniziale è progredito con nuovi aderenti i quali hanno apportato nuove soluzioni. Qui di seguito le prime pagine del libro. 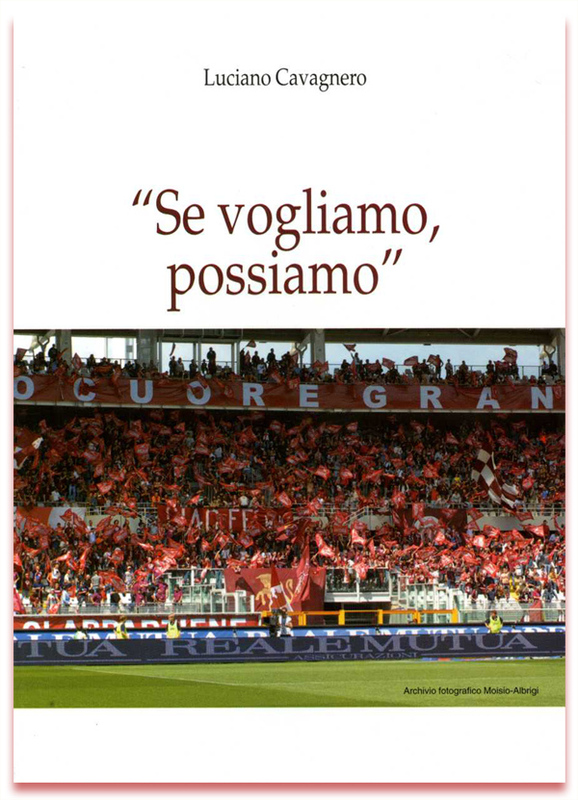 We are a group of fans who want to participate effectively in the strengthening of civil Torino FC. We are interested in only this single goal: We believe that from here you can then also strengthen the team. We have chosen to share ownership idea itself (become a shareholder) which is different dall’azionariato People (become member) and we want to assist the President in office by providing financial resources without necessarily losing them. The shareholders are the only way to actually be owners of the company assuming the responsibilities and possible benefits. And ‘the only way to express and assert their ideas democratically in the management of investee companies through the Board of Directors, the so-called room buttons. The initiative is supported by a major professional association of business consultants in the market for over 15 years. For these reasons, the site occupied only sull’azionariato initiative, defers to the already many and numerous other sites all the news on the team that are put on the list of links.